Over the past few years, Docker set out to build its own container management and orchestration layer. It’s been a positively essential part of the company’s roadmap, and one that most investors saw as the end-game play to bring in enterprise buyers at high dollar amounts. That vision changed drastically, today, when the company announced that it would be bringing Kubernetes into its enterprise platform. At DockerCon Europe in Copenhagen, today, it was the Kubernetes open source container orchestration engine that was front and center. Google first developed Kubernetes, which is now managed by the Cloud Native Computing Foundation. Now Docker will be including Kubernetes 1.8 in its current Docker Enterprise Edition. Previously, Docker had pushed its own Swarm as the solution to many orchestration woes, but with the announcement that it will now be offering and supporting Kubernetes, many of those Swarm capabilities are now touted as value-adds above Kubernetes. Previously, Swarm was advertised as a cluster manager, stopping short of being called an entire cloud orchestration system. The combination of Swarm and Kubernetes allows for the inclusion of Swarm manager nodes and Kubernetes Master nodes together to enable high availability and security within deployed systems. Johnston said this was largely done in response to customer requests for Kubernetes. “This also brings capabilities to Kubernetes we don’t see in other distributions. It enables users to take advantage of Swarms security features at the node and cluster level. Also, Docker Enterprise Edition users can manage Windows and Linux workloads through the same pane of glass,” said Johnston. This is a major point of differentiation for Docker, and one that it has been working on ever since it first partnered with Microsoft in 2016. Docker signed on to bring its container runtime into Microsoft’s Azure cloud platform at that time, but what we didn’t quite see back then was just how much the Windows platform would gain Docker support. This announcement shows that Docker sees Windows as a standard desktop development environment for enterprise developers. Johnston said that users will be able to pick and choose between orchestration capabilities independently. “The Kubernetes interface will be available to users that want to start with that, and available natively. We’re not wrapping Kubernetes or forking Kubernetes. This is the plain, vanilla version from the project. Customers interested in starting with that as an orchestration layer can go right at it. Meanwhile, our hundreds of current enterprise customers will continue to enjoy the benefits of Swarm. We’re not telling customers to do one way or the other as much as giving them choice,” said Johnston. Going forward, Kubernetes will be updated to the most recent stable version every six months, said Johnston. This will begin with version 1.8 included in Docker Enterprise Edition today, with the next stable release being adopted into the platform whenever its available on the twice-yearly Docker Enterprise Edition release schedule. For desktop users, who typically utilize Docker for development environment-based testing setups, the Windows and Mac versions of the platform will likely integrate Kubernetes directly from the master, ensuring new features are available for developers in a timely fashion, without bringing possible complications to the mainline production platform. While this is a welcome addition for customers, it is indicative of a slight direction change over time for Docker. “Maybe it’s also a reflection that we were young in the enterprise three years ago. As we’ve grown into the enterprise, we’ve seen the security requirement grow further and further. That’s increased our own investment in those feature sets. I would say it’s consistent for us, but three years ago most enterprises were kicking the tires on containers. Now you do see enterprises wanting to move their first, maybe second and third workloads into the cloud with Docker. When you do that, your security requirements become table stakes,” said Johnston. He added that much of the security work inside Docker Enterprise Edition was performed by a security team the company acquired from Square three years ago. 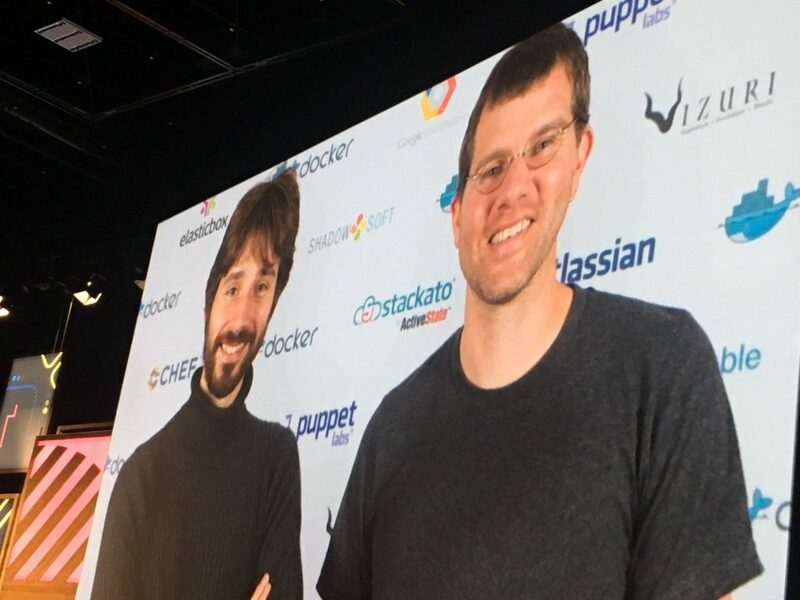 That team has remained together inside Docker, where it’s worked to improve the platform’s overall security model, and continues to do so, said Johnston. The company’s DockerCon Europe continue through the rest of this week, with further announcements scheduled for tomorrow’s keynote, as well.